It's time to become frenemies with Kim Jong Un. Nothing else has worked. The United States has tied itself in knots over North Korea. Whether it is international sanctions, displays of military force, confidential diplomatic outreach or bluster, nothing Washington does shuts down Pyongyang's commitment to the bomb. Is it time for a major policy pivot? If so, what could that be? If we take National Security Advisor H.R. McMaster at his (repeated) word that "We're out of time" and the administration's continued declaration that "all options are on the table," does it mean military action is a hair trigger away? The impediments are substantial. No surgical strike can eliminate Pyongyang's nuclear stores. We just don't know where all the bombs and weapons material are. Nor is it clear that a decapitation strike — targeting Kim Jung Un and the leadership — could work. The nagging question remains: Has the dictator issued orders to his chain of command, "If I go down, take down all others." The "hail Mary" strategy of invasion is also not viable. Going all in would surely ignite a new Korean War. Even Pyongyang's conventional response would kill hundreds of thousands of South Korean citizens — which any nuclear response would exponentially increase. This grim picture calls for an alternative. The default is "containment." No surgical strike can eliminate Pyongyang’s nuclear stores. We just don’t know where all the bombs and weapons material are. Containment braced by deterrence has been part of the peninsula's landscape for decades. Although it has not prevented military incidents, the specter of a major South Korean and U.S. response has stemmed eruptions of major hostilities. But today North Korea's nuclear arsenal presents risks unseen in the past. Containment as defined here involves a layered approach — integrating military deterrence with diplomatic and economic outreach, all shored up by a new generation of missile defense. First, boost deterrence markedly by returning to South Korea the nuclear weapons withdrawn in 1991. Today, Washington extends its nuclear umbrella over Seoul through its submarine fleet and, most visibly, B-2 bomber over-flights. But the comings and goings of these forces provide a far less durable commitment than a nuclear presence in South Korea. That would present a proportionate response to Pyongyang's bomb. Consider how Washington responded to China's rise as a nuclear state in the 1960s. It acquiesced, given the unacceptable alternatives. The Trump administration could learn from President Richard M. Nixon's 1974 foray to Beijing. His outreach effectively cauterized China's nuclear threat by opening the door to normalization of relations. Today, U.S. summits with Chinese leaders ignore the nuclear issue. It simply is not a critical sticking point. Drawing on the Nixon example, perhaps the time has come to test an "unconditional" opening of relations with Pyongyang. Translated, this would tacitly accept the nation's nuclear status. But, equally important, this unconditionality would keep cocked the proposed nuclear counterpoise in the South. Granted, Kim may not respond to outreach. He may see it as a trick. Or try to game Washington's concessionary "weakness" by demanding, in exchange, the non-starter removal of all U.S. forces from South Korea. So U.S. efforts must also buck the legacy of South Korea's failed 2000s "sunshine" policy that sought to fully open the North. Compelling mutual advantage would be the requirement. For Pyongyang, this containment policy could end the squeeze on its economy, in addition to acceptance into the nuclear club. For the United States, the presence of permanent representatives in both capitals would permit better communication in time of tension. It would also provide U.S. diplomats and intelligence a window into the hermit kingdom. In time, the lifting of sanctions could perhaps erode the state of siege and isolation that does a great deal to ensure the Kim regime's staying power. 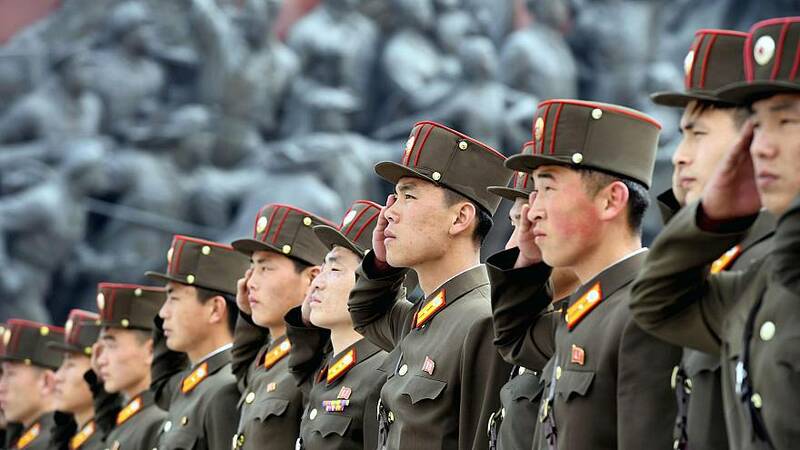 Perhaps the time has come to test an “unconditional” opening of relations with Pyongyang. Containment would not be complete without a re-insurance policy. Bolstering missile defense is key, though it remains a work in progress. Because current capabilities are iffy, Washington has dramatically ramped up research and development to find a new formula. Using drones to monitor missile liftoff could allow rapid interception in the rocket launch phase. Advanced electronic jamming and laser kill techniques are also under development. Keeping the peninsula as tame as possible until these technologies matured has obvious advantages. Even with skillful missile defense, however, the constituents of containment mark an imperfect solution to North Korea's nuclear challenge. The perfect solution would be a nuclear-free Pyongyang. But that bucks reality: North Korea is now a nuclear-armed nation. It equates its arsenal with security — as do all other nuclear-armed nations. These are now facts. The time has come for Washington to live with what it cannot change and implement a strategy that materially reduces both Pyongyang's incentive to use the bomb and its ability to do so. Multilayered containment marks the most plausible alternative available. Let's get on with it.